Home » Bathroom Help Category -- Also note those subcategories in the orange navigation, above! 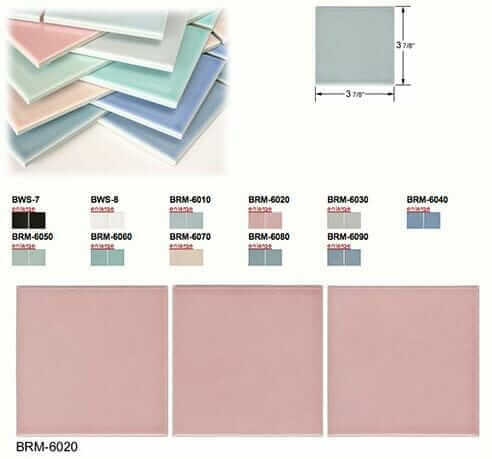 » bathroom tile help & ideas » The most popular colors for mid-century bathrooms? Take our poll! The most popular colors for mid-century bathrooms? Take our poll! 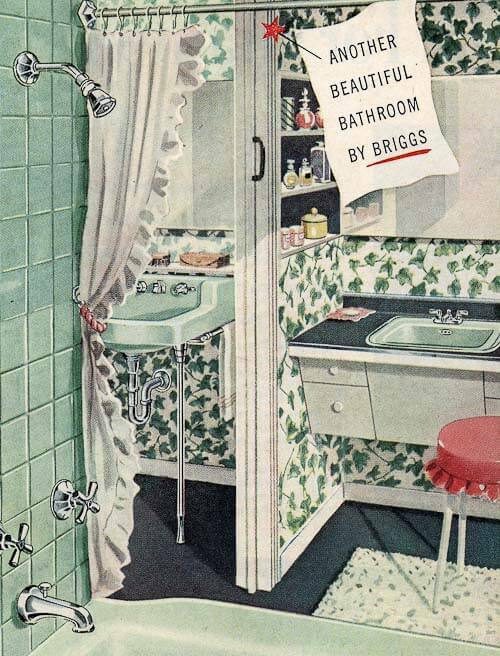 These 1949 Briggs bathroom fixtures — tub, sinks and toilet — are the same design that I had in all three of my original 1951 bathrooms. And: I had two bathrooms full of this green. In fact, I tend to believe that this shade of green was #2 in popularity behind Mamie Pink throughout most of the 1950s. But let’s get all scientific-like and start collecting data. 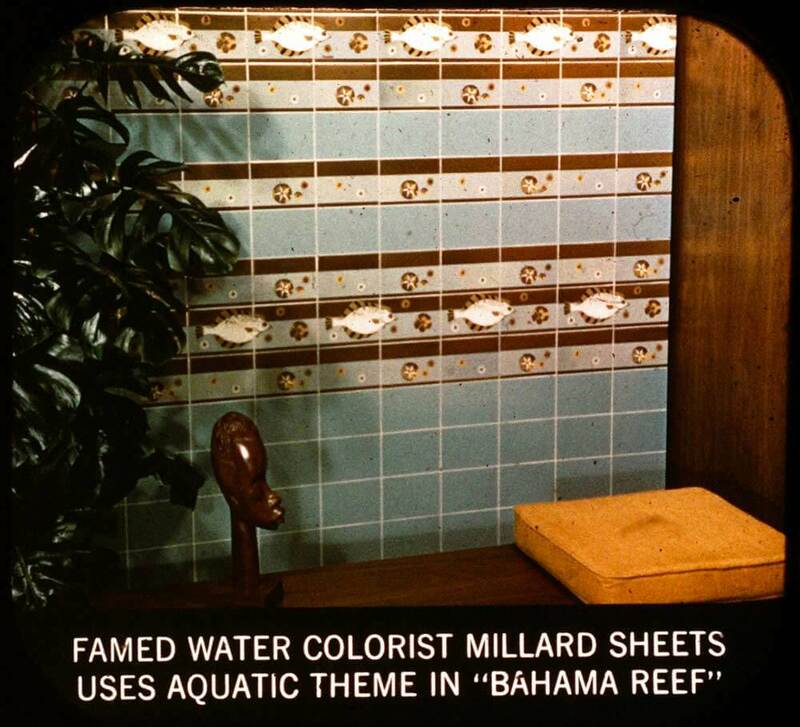 Henceforth, I invite you to take our two official polls, which seek to answer the urgent question: What were the most popular tile and bathroom fixture colors for mid-century bathrooms? Also, please feel free to leave a comment with more information about your original bathroom(s). It’s for Science, mind you. Thanks for playing! The Kohler website once published a timeline of popular bathroom colors through the decades. I haven’t looked to see if it’s still there but it was a great resource for basic color matching to older homes. 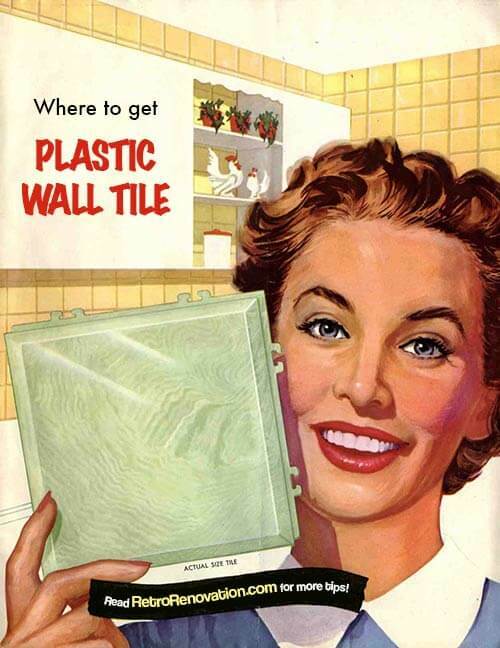 My house was renovated in 1962 and the powder room is Mamie Eisenhower pink tile with matching Kohler pink fixtures and the kitchen backsplash is the same pinkish tile. The floor is mud-set white-speckled light pink and darker pink random mosaic tile. The main bath is citron yellow, with nearly matching tub, toilet and sink (they are all Kohler– just a tad dirtier color). 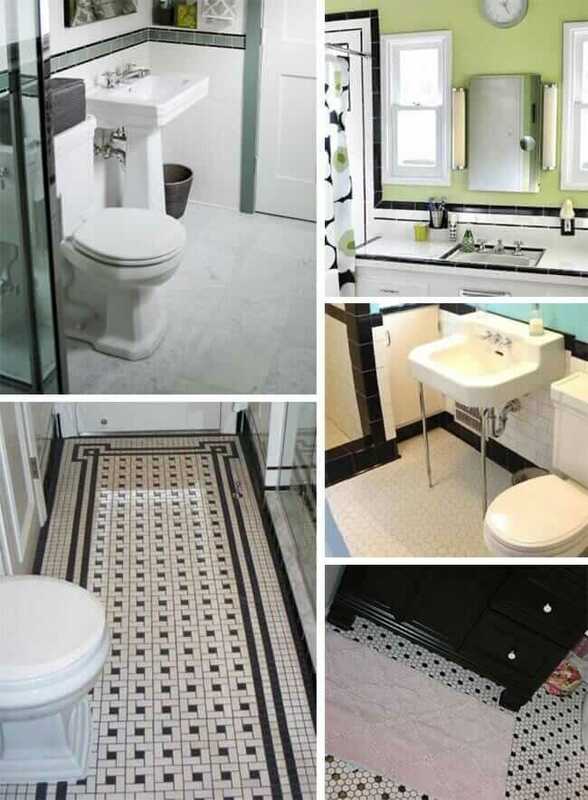 The floor is 1″ square mosaic tile with white grout and is unlike anything I’ve seen–a heavily textured mottled yellow with tiny striations of white and grey. It is really pretty and the bath is very cheerful. And I have a white with gold glitter countertop in there too!